INSPIRED BY THE NATURAL SOUNDS AND TRADITIONAL SONGS OF LAO, THIS ALBUM IS A DEEP EXPLORATION OF TRIBAL RHYTHM, EARTHY BASS & NATURAL AMBIENCE. This trip through Lao’s raw tropical culture begins with three instrumental tracks integrating nature sounds. The beats become fiercer and we meet two Akha tribeswomen Isoe and Ik’a. Softening into blissful ambience we hear the haunting voice of Phui Suwanh, singing in the natural reverb of a pitch dark cave. Wonderfeel rejects synthetic sound and instead uses sounds from the physical world. Sounds recorded through a microphone. Peet Wonderfeel is an experienced producer with a background in activism and healing. He fronted the message-driven punk band Insyte, contributes to the freaky underground dance scene in Melbourne and hosts full moon dances and seasonal rituals. Wonderfeel’s philosophy is to experience wholeness. 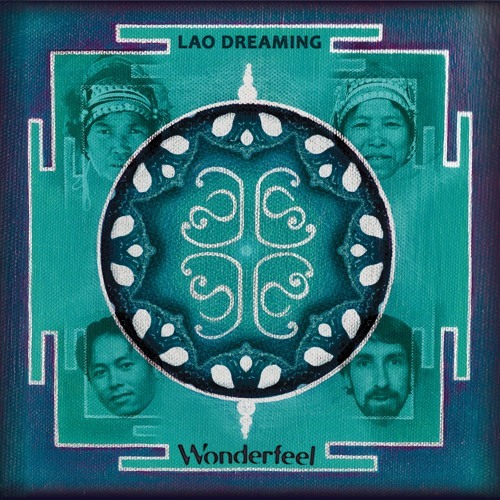 After a successful crowdfunder in mid 2017 Wonderfeel’s debut album ‘Lao Dreaming’ is here now.